Bought and sold a Single Family home in 2011 in San Antonio, TX. Sold a home in 2009 in Carrollwood Village, Tampa, FL 33624. 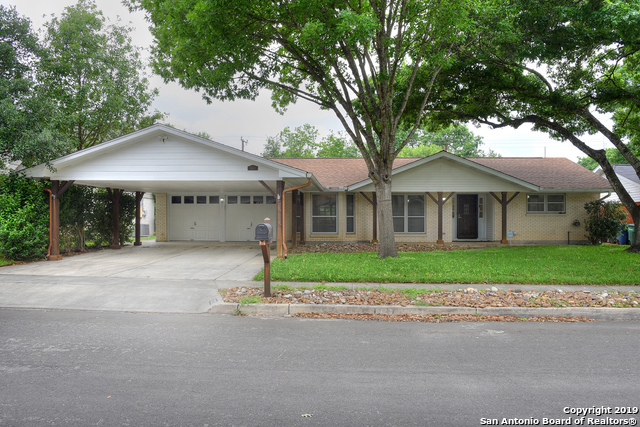 Bought a Single Family home in 2010 for approximately $150K in Vista, San Antonio, TX. February 25, 2018 - R. H. Dolson‎ - When I moved here in May/June of 2011 because of a military assignment, I enlisted the aid of Marsha Ryder to help me find the perfect home. Unbeknownst to Marsha, I was going to be a difficult client...my required features had to be met before I would sign on the dotted line. Marsha put up with my "demands" and showed me close to 100 homes (ones I picked from the listings she sent)...seriously 100 homes from Leon Springs to Garden Ridge to Cibolo to Seguin to San Antonio proper (ALL over San Antonio) to Schertz. I FINALLY found one that met my needs and wants. Six years later, after retiring from the military, thinking San Antonio will be my forever home, and realizing my "needs and wants" for a home have changed due to upcoming familial circumstances, I've requested Marsha to be on the look out for homes that have my "new" required features. I'm sure she probably let out a huge sigh before agreeing to work with me again, but I'm glad she did. She's very personable, responsive and willing to go the extra mile to help find the perfect home. I recommend Marsha to anyone moving to the San Antonio area--and to anyone that just wants to move within the area surrounding San Antonio; she won't disappoint. July 1, 2016 - G. Eddy - Marsha was patient and helpful throughout out our search, which was over a year in an effort to find the right house in the right neighborhood that my wife and I could agree on! November 15, 2015 - M. Robertson - Marsha was attentive compassionate and listened to our needs.she went above and beyond literally for us. We not only found our home but made a good friend. Marsha Ryder has been a military spouse for over 28 years. In that time, she has moved with her family of four, a dozen times including three overseas moves. Marsha has spent her life raising her children and volunteering wherever there was a need. Her love of helping others naturally translated into a career in real estate. Marsha's many years of moving around the world have given her the desire to make the transitions of others an experience that is the very best. If you are looking for a professional who really cares, and will go the extra mile, to give you the service you deserve. Whether you are buying or selling, Give Marsha a call! White Glove Service - My Clients Come First!